Enduring Love is one of my all time favourite reads but I’ve actually never read any of his other books – this post has prompted me to change that as soon as possible! Do give them a read Marie because I do think that he is a fantastic author. Not that I think everyone should love the same authors as me I should add, I am happy if people don’t like him – if they feel they have just cause hahaha. Oh, he is one of my favourite authors! And like you said, his books are so different, and he can make any subject matter intersting (although I have to add that I didn’t really like Solar). He writes beautifully, creates wonderful characters, and I really love the more darker sides of his stories. The last book I read of his was The Child in Time, and even though the subject matter was not my thing at all, it was one of the best books I read this summer. The first book I read by McEwan was Atonement, because I wanted to read it before the movie came out, and I’m so glad I did, because it made me intersted in his work. My favourites must be Atonement, The Cement Garden and The Innocent, but also Enduring Love and the Comfort of Strangers 🙂 I can’t wait to read his new book! And, I love the idea of a hall of fame! I think every author we love has a book or two that they don’t like. In hindsight I wasn’t as in love with Solar as I though, though one scene made me laugh and laugh, and I couldn’t finish Saturday so I think I have realised I don’t like the sciencey stuff of his as much. I love McEwan too – but I must be one of the only people left on the planet who hasn’t read Atonement – I saw the film though, so know what happens. The first of his I read was The Child in Time which was certainly unsettling. I hope you enjoy Enduring Love – the opening is indeed amazing. Read Atonement, read Atonement, read Atonement, read Atonement, read Atonement, read Atonement! I love this format. I have pages for my favorite authors, but they are a bit spartan and about due for some redecorating. Thanks for the inspiration. A pleasure Laura, I have another author that I am adding to the Hall of Fame next week. I love this idea and look forward to your Atwood edition! I want to be the type of person that has favorite contemporary authors, but I’m really bad at diving into other works by the same people when I’ve read something I’ve liked. I mean to, but then I get distracted by the next shiny thing. That said, I’ve actually read two books by McEwan, Atonement, which I admittedly read because the movie was coming out, and On Chesil Beach (based on a recommendation by Ann of BOTN). OCB is short, but really stays with you. Hahahaha how did you know that there might be an Atwood post in this series? Hahahaha. I haven’t actually read any Atwood in ages, must make taht happen. I haven’t read the other book so I cant compare them I have to say, sorry, maybe some others have? I loved On Chesil Beach, I thought it was effortlessly heartbreaking. 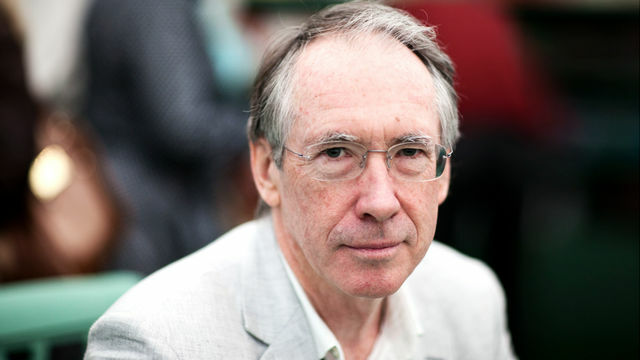 Ian McEwan is one of my favourite writers too! And I’m planning to read all his work! 🙂 (I’ve only read Enduring Love, Amsterdam and Atonement so far) Read Enduring Love soon! It’s a good one! I will do for definite as so many people have recommended it on this post. I will make it my next McEwan after Christmas. Confession: I once tried to read Saturday and hated it so much I vowed never to read another book by him. (It’s rare enough that I’ll give up on a book but to give up on the author altogether – that’s a lot of hate from just a couple of chapters.) Having since learned that that is his worst work, by far, I am considering breaking that vow. Thing is, though, if you read one bad book by an unknown author, you wouldn’t go back to them again – why is he allowed to get away with it? Because his other books are amazing, I guess. Well, we’ll see about that. Hahahaha you don’t have to let him get away with it. Ha. He is excellent, I couldn’t finish Saturday either though and I am a fan so that was an unfortunate false start for you maybe? If you want to give him another chance then I would say either read On Chesil Beach or Atonement. 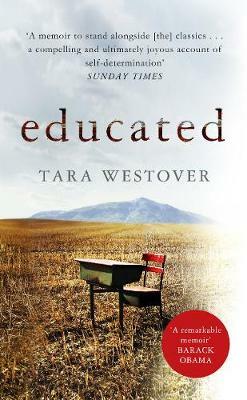 I find my relationship with McEwan’s novels very varying – I loved Atonement, but thought Saturday pretty poor, and Enduring Love definitely has an incredible opening, but it goes downhill after that. My favourite of the five I’ve read is actually Black Dogs. I didn’t really understand this question – “If there was one of their works I had a novel with it would have to be…” – is there a typo there, or am I being stupid? I think it was a typo, I think I have mended it but thanks for letting me know. I am rubbish at editing myself. Ha. This is a great idea! The Cement Garden was my first McEwan also, and I think the next was Enduring Love – I can’t wait to hear what you think of it when you read it. What I love most about him is how uncomfortable his books can be, which somehow makes them seem more real. Nobody else writes like he does. Yes, yes, yes the darkness and uncomfort is just what I love about his books, the best ones have great lashings of it. Oh my love affair with McEwan cooled with Saturday and I didn’t like On Chesil Beach that much either although his earlier stuff amazes me. I wrote about it some time ago. Perhaps it’s time for a rapprochement? I’m put a reserve on Sweet Tooth at the library. Sweet Tooth isn’t his best Lizzy, but it is almost a return to form, and I liked the autobiographical elements in a way. I don’t think many people, apart from Cherie Blair, love Saturday that much to be honest. Interesting, Saturday had the complete opposite resonance that everyone else had ….. I loved the book. Oh, ha! Just when I thought no one was going to say that they liked it, and then you did. What was it that worked for you, you might encourage me to give it another whirl.